Eric N. workin hard and lunging his way to total fitness. 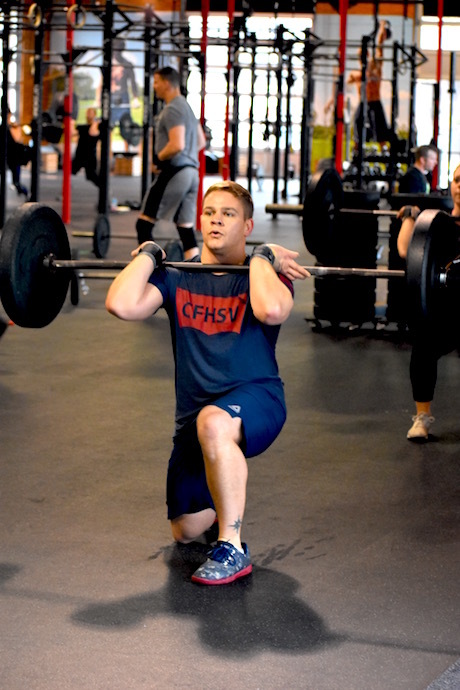 Eric has worked to become a balanced CrossFiter with strength, skill, and engine. He’s also extra CrossFit courteous and friendly. Keep it up buddy! Dude, you are a Superman, turning around and hitting the early morning class , great job brother!!! B: All 5 rounds at the 11min cutoff. Scaled to 95# PP with legless rope climbs. Great job Mr. Kennedy !!!! Way to represent brother!! Eric is one awesome dude. He has a passion for working hard and getting better. He continues to strive for perfection in everything he does. Keep it up stud! 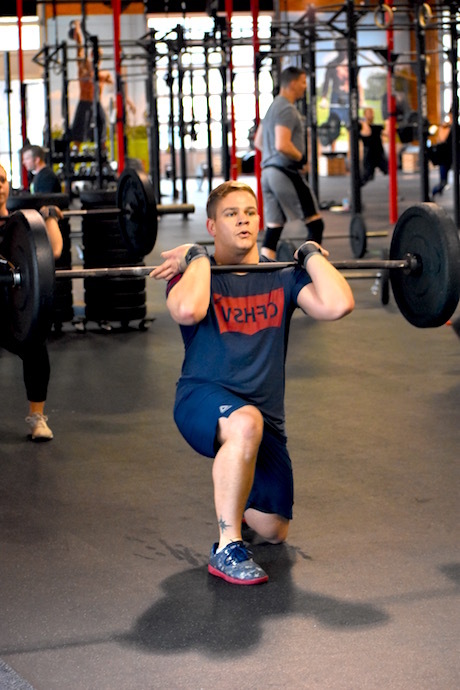 Eric is a strong crossfitter and a FAST runner! Eric N.’s a BAD man, glad he’s on my side!! Great athlete and great guy. Hopefully one day I can get him on my Truck !!! – No rope, so 6 pull-ups per rope climb. – Back in the day when I was in the trenches with 6:15pm, Eric was always hustling and crushing wods!